So, I have decided that the answer is: Yes. All of them. We’re talking about spice today. Just like any good spice that can be used in multiple dishes, this subject is a part of many larger topics. In the 16th century, finding islands with exotic spices was the Space Race of it’s day for sea-faring European countries. Massive fortunes were made or lost on the success or failure of a trading company’s ability to get its ships around the world and home again with a full cargo of spices to sell. City states like Venice and countries like Portugal and Holland invested heavily in ships and trading ports designed to get spices back to their own European markets. Spices were in high demand to give flavor to foods and to work as preservatives in kitchens from every class of the European population. Because it took so much work to bring the spices to the European markets from far away places, often a distance of over 6,000 miles, spices were expensive. With the experience gained from these arduous journeys, spice merchants quickly learned how to ensure that their precious cargo arrived as fresh as possible. No one wanted to pay for an expensive spice expedition and have the product arrive stale months later. What the spice merchants learned is that heat and light are the most dangerous enemies of any spice. Whether it was an common black pepper or and elusive cinnamon, exposure to heat and light dried all of the flavor out of them. 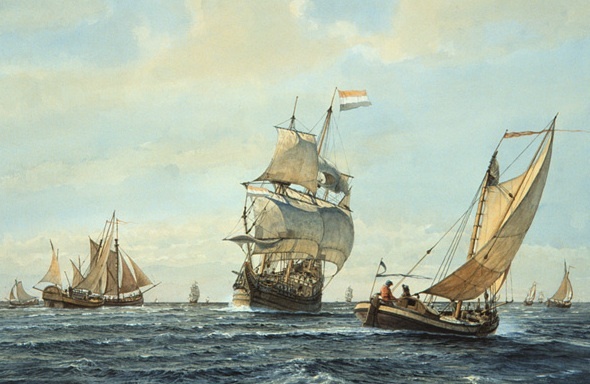 As a consequence, spice ships were large, with deep, dark holds for hundreds of thousands of pound of spice that were undisturbed on the return voyages. This spice chest, or apothecary chest, is from Asia, where spices were used for both cooking and medicinal purposes. 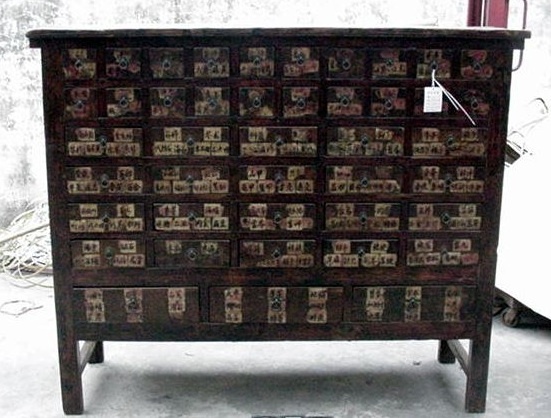 Each drawer contained the spice label on the drawer’s front and was kept behind a store keeper’s counter to keep the costly spices protected. 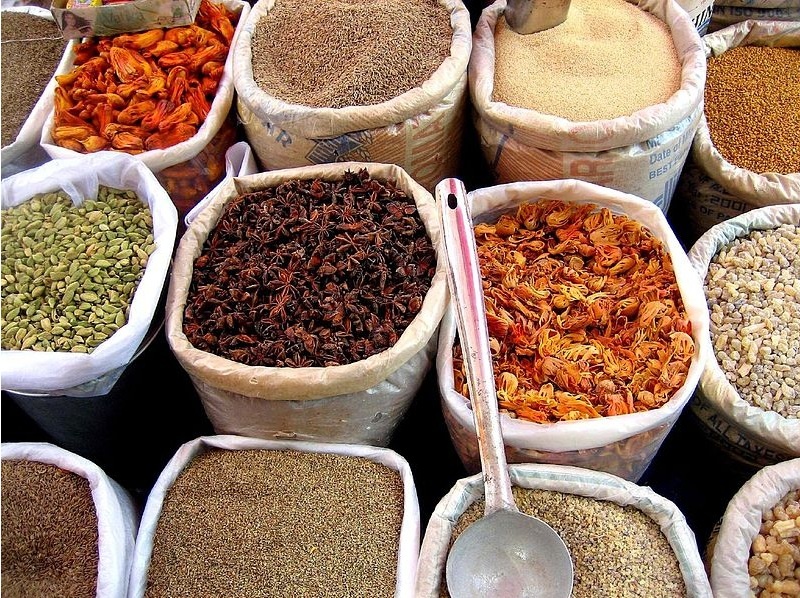 With the development of refrigeration techniques in the 19th century, spice demand dropped significantly. 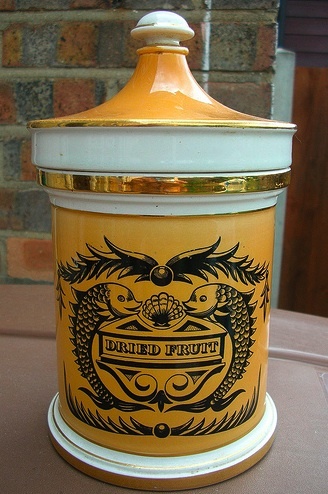 There were no longer needed for food preservations, but primarily food flavor. As transportation systems advanced, the lengthy travel routes to obtain the spices also became obsolete, causing a sharp drop in prices. As a person who loves to cook, I hate to see this kind of waste in a kitchen. As a designer, I want to get the word out to help clients and blog readers to remember the wisdom those spice merchants learned all those years ago. 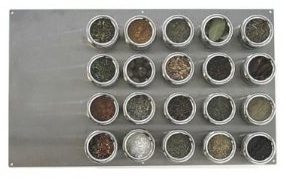 The round parts of that Oxo organizer are turntables, to make it easier to browse your spices. Nice design! Wanna see my solution for my own kitchen. (I practice what I preach, my friends!) 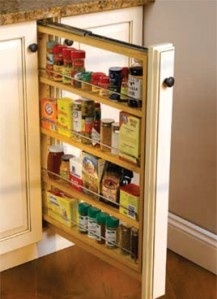 I use the high cabinets above our sink for spice and baking supply storage. Mr. CARO and I are both rather tall, so we can reach these shelves easily. 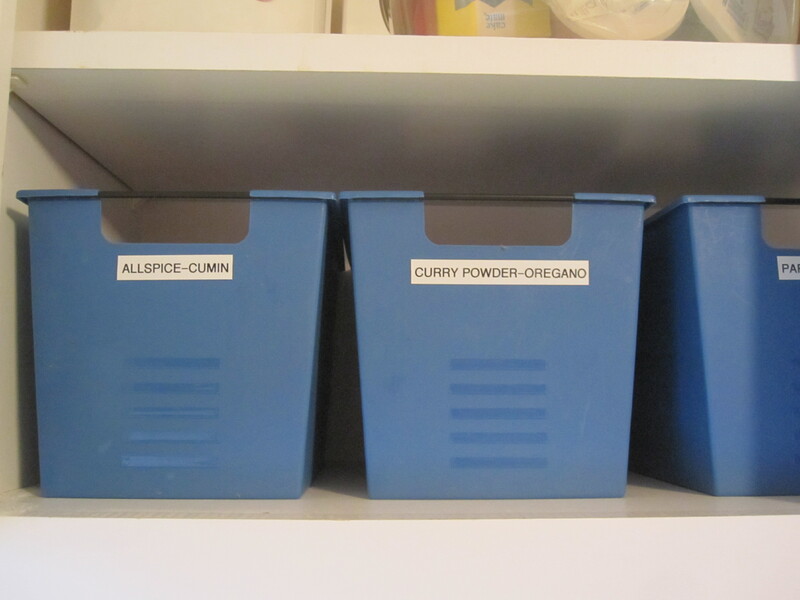 I bought several bins and broke down my most commonly used spices into four sections of the alphabet to label the bins. 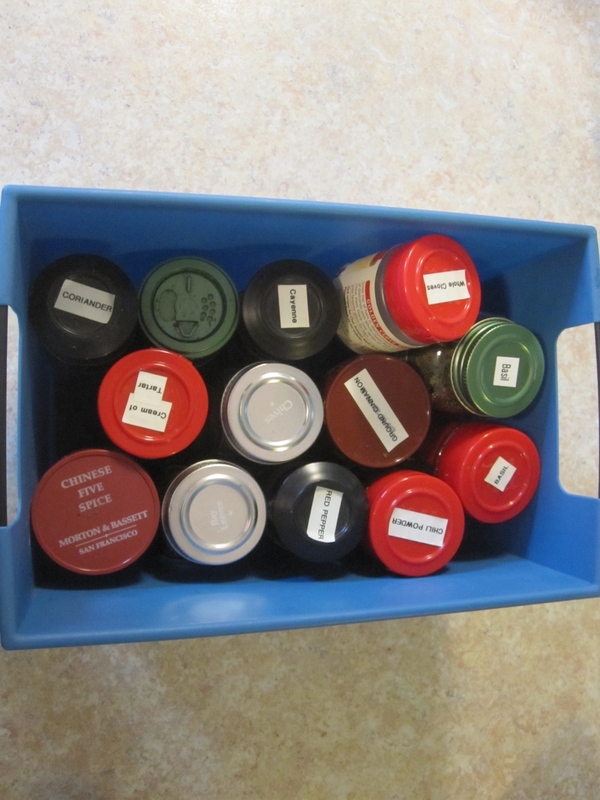 The best part is, these bins weren’t designed to be spice containers at all. They were designed to be locker bins for high school students. I found them on clearance for $1 each after the back-to-school season years ago. 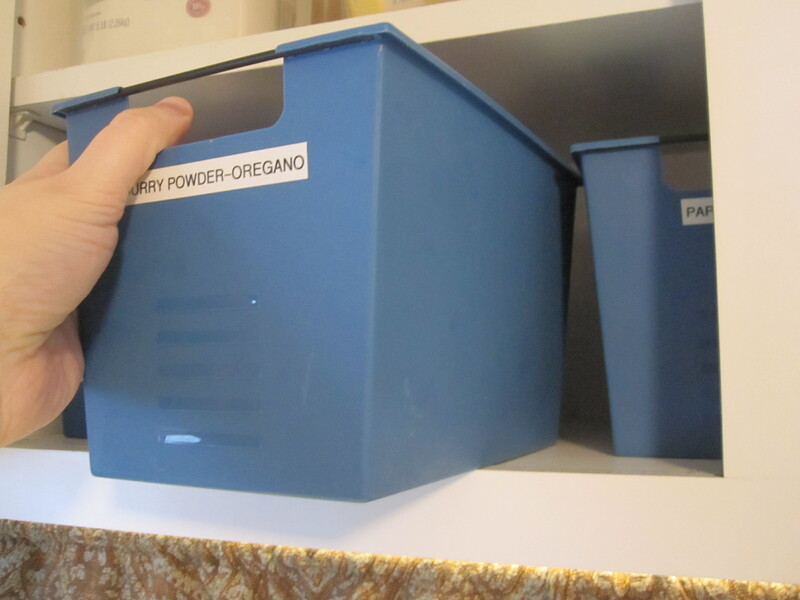 I love that these bins are easy to clean and I can tell at a glance if I am out of something. All I have do is label the tops of the bottles and toss them in their bins, although nowadays, many bottles already come labeled. FYI: All of our cooking oils and vinegars like a cool, dark place for storage, too. They last longer and keep from going rancid it you store them with the same care that you store your spices. Right by the oven?! Heat!!!! …and now you don’t. Beautiful, practical and functional. 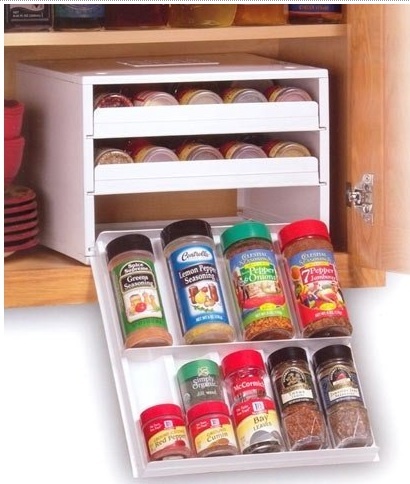 Have you ever thought about how you store spices in your kitchen? 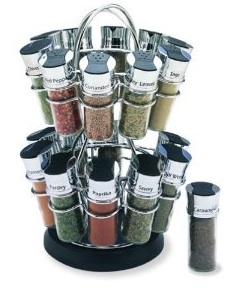 How many bottles of spice do you use regularly use in your home? (Just guesstimate.) Do you cringe, like I do, when you have to throw away a wasted spice? 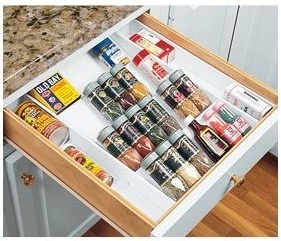 Anyone out there have a creative way to store spices in their pantry? Share your spicy-ness in a comment! Whenever I work with clients, using either my local design services or my online design services, I always make sure we look at how the room we’re working on is really used. It will probably come as no surprise to you that the most lived in room of most houses is the family room, or whatever room is near to kitchen and houses the largest tv in the home. In my experience, that hardest working piece of furniture in that hardest working room is not the sofa. The sofa is generally used just one way, for sitting or lounging. 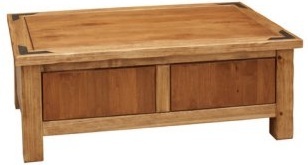 The hardest working piece of furniture in a family room is the coffee table. Does that surprise you? Storage for household items: games, books, blankets, pillows, etc. Oddly enough, using a coffee table for serving coffee rarely makes the list of duties for the average coffee table these days. 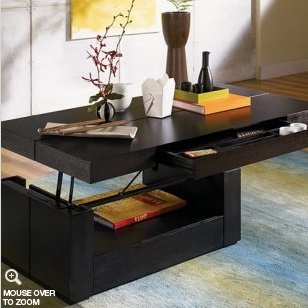 So, what if you could find a coffee table that could serve more of those varied needs, beyond being just a flat surface? Does that blow your mind? I find many of my clients have never heard of this lovely concept and cannot live without it once they do. 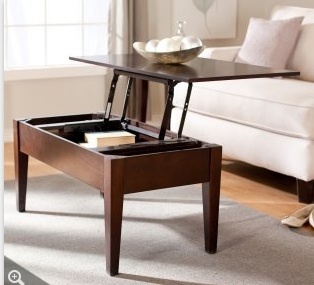 The “lift top” of this type of coffee table creates a perfect desk, dinner surface, homework spot and gaming table, while also allowing you to really get at your storage space in the table…without having to stand on your head. All of the coffee table images in this post, unless otherwise noted, are courtesy of coffeetablesgalore.com. As with all furniture purchases, I urge you to look for good construction and sturdy hardware for a smart choice that will live well in your home for many years. 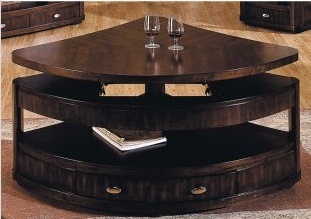 What do you think of this type of coffee table? Could you use one in your home? Did you have something to add to my list of ways people use their coffee tables? 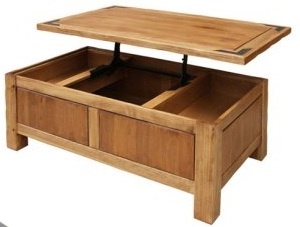 Do you use your coffee table for coffee? Leave a comment! A little Design Vocabulary for you today, as we mosey on into the sunset of the work week. We’re going to look at a unique American furniture designer and how his creations have become part of our national identity. Thomas C. Molesworth (1890-1977) was born in Kansas in 1890 and studied at the Art Institute of Chicago. After working at a furniture store in Chicago, he, like many men of his generation, enlisted and fought in World War I. 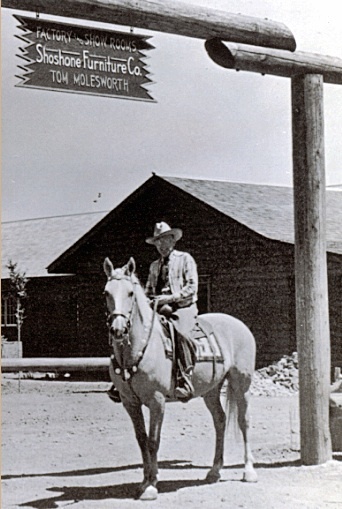 After returning from the war, he eventually found work managing a furniture store in Cody, Wyoming. In 1933, Molesworth got a unique commission from Moses Annenberg, a major national newspaper publisher of his day. Annenberg had seen and admired Molesworth’s work in his store windows. 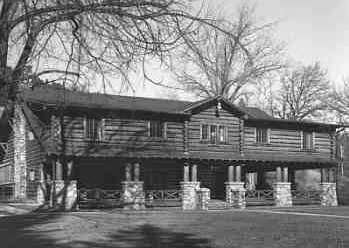 He asked Molesworth to completely furnish his newly built ranch, “Ranch A”, in Beulah, Wyoming. Molesworth created the lighting, accessories and over 24o pieces of furniture for the ranch house. 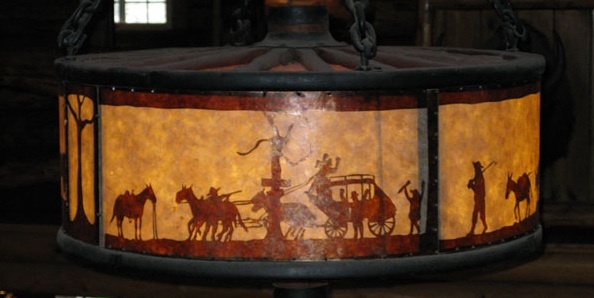 The success of his Ranch A design led to a wealth of commissions for his Shoshone Furniture Company, which he operated with his wife for thirty years. 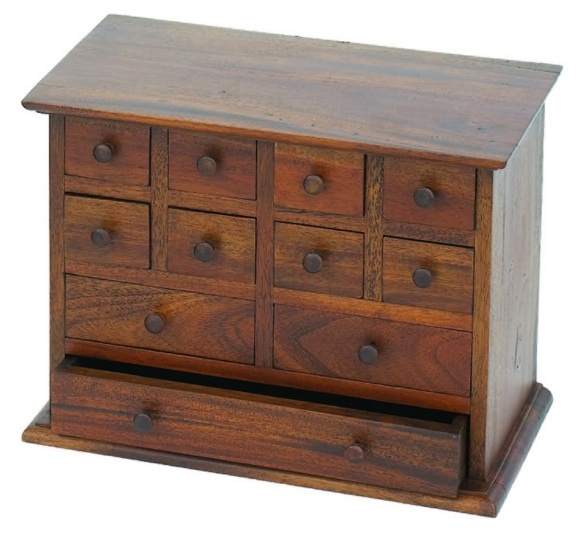 Hotels, lodges, major homes and even Dwight Eisenhower’s Gettysburg home ordered custom furniture from Molesworth. Today, original Molesworth pieces are dream acquisitions for collectors and experts alike. If you are an Antiques Roadshow fan like I am, you can watch for the unbridled excitement of the appraisers when a real Molesworth piece is brought in to be examined. So, what makes Molesworth so unique? When the West was settled in the 1800’s, the homesteaders, ranchers, cowboys and other new residents made furniture out of what was on hand. 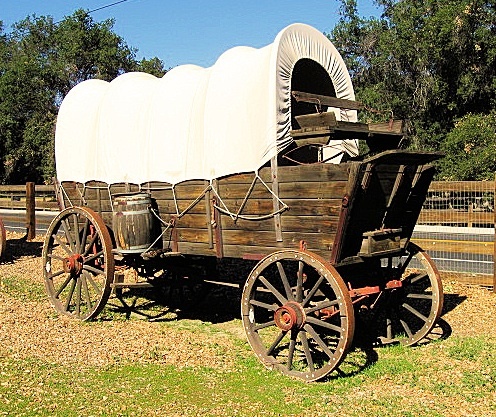 Before the spread of the railroad, furniture for your home was whatever you could build or brought out West with you in your wagon. As a result of these limitations, most furnishings were simply made, using local materials. None of the exotic hardwoods, ornate finishes and luxury upholstery that we normally associate with the Victorian era were available out West. If you think back to any of your childhood “Little House on the Prairie” memories (especially the books), you’ll remember that Pa built most of the furniture himself and that window pane glass was something you save up your money to afford. While most of America was discovering the Sears catalog home, Molesworth took the old Western design restrictions and embraced them. His upholstery used beautiful local Navajo rugs, his furniture sported carved Western motifs in natural wood finishes and his fine leathers were not from Italy, but from locally raised cattle. Can you see how he respected the natural burl of this piece of wood’s growth? Each piece is original because he works within the guidelines of the natural form. Can’t you just imagine how beautiful this would look with a blazing fire behind it? It makes the fire the focus of the art as a sunset. Gorgeous design! As luck would have it, America was re-discovering the West at the same time that Molesworth was furnishing it. With the installation of the National Parks system and interstate highways, more and more Americans took to vacationing out West in the ’30’s, ’40’s and ’50’s. 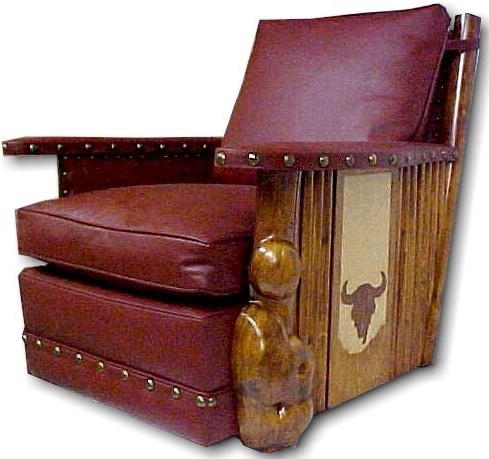 With Molesworth’s unique furnishings filling the most popular lodges and hotels, his style soon became recognizable as “authentic” Western furniture. His work also coincided with the invention of the most popular marketing tool ever invented: television. America loved its early television and it loved its Westerns even more. (Ask any male Baby Boomer if he ever owned or wanted to own a Davy Crockett raccoon skin hat.) How better to enjoy 20 seasons of Gunsmoke than watching from your own Molesworth chair? Thomas Molesworth died in 1977 (just two years after Gunsmoke ended its record-breaking run), but his style has lived on. 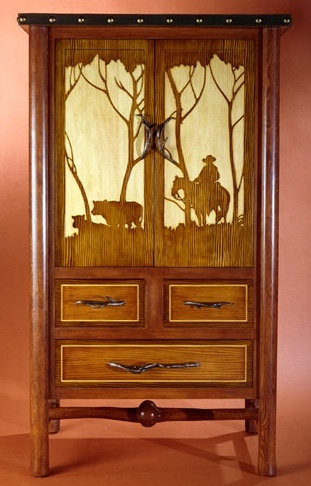 “Molesworth” remains the gold-standard name for western inspired furnishings. Molesworth originals reach high auction prices, often in the millions. Several major museums have curated very popular Molesworth exhibits. 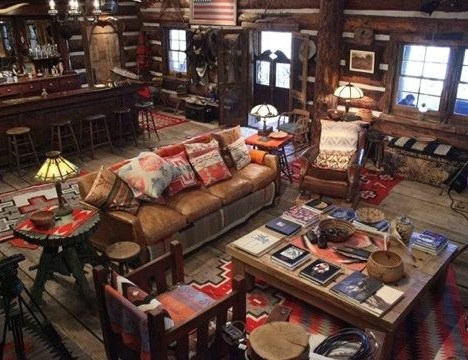 This is the Telluride, Colorado living room of Ralph Lauren. I can definitely see the appeal of sinking into that sofa with a great book or watching tv while sharing a big bowl of popcorn with my sweetie. Can you imagine yourself there? What says “old American West” to you? Have you had a great vacation out West or are you lucky enough to live there? What speaks to you about Molesworth’s designs? Don’t be shy. Blogs are for conversation, so leave a comment! Happy Trails to you, until Monday! 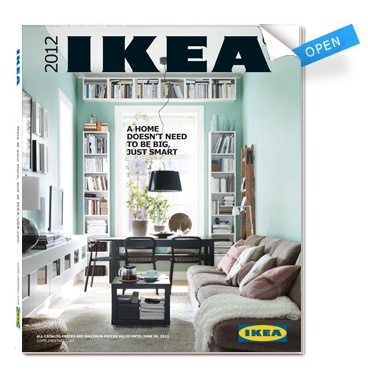 The 2012 Ikea catalog is out! Does this suddenly make you crave Swedish meatballs and lingonberry jam? If you live near an Ikea, you might want to swing by and check out the lovely new merchandise. If you are new to Ikea, here’s where you can find the nearest Ikea to you…just click the map below to get to their store locator. Has anyone been to the new Centennial, Colorado Ikea? Rumor has it that it is TWICE the size of a regular Ikea in floor space. I’ve heard that from several Ikea employees here in Maryland and even those employees can’t picture how big that would be. Anyone have some CO shopping stories to dish with the rest of us? I am very lucky to live near 3 Ikea stores, spread between 20 minute, 45 minute and 70 minute drives. My friend Nancy and I (Hi Nancy!) took her two little boys for a little shopping reconnaissance at the College Park, Maryland location earlier this week. Oh, it was fun to explore! 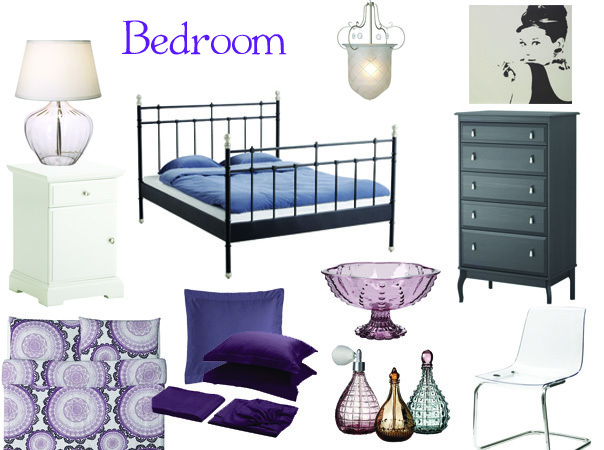 To share the Ikea shopping joy, I’ve made a couple of mood boards full of inspiration. 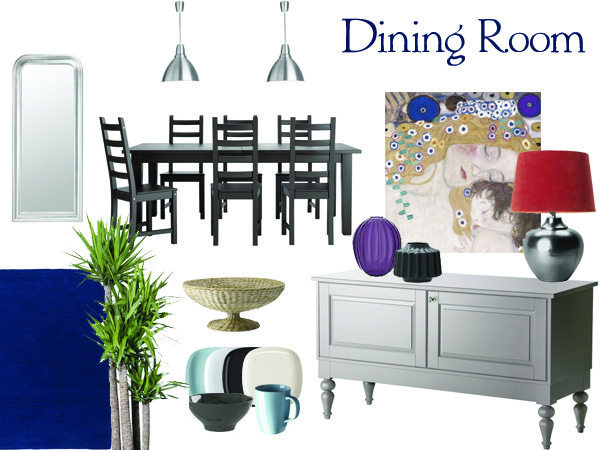 All of the items on these mood boards come from Ikea. 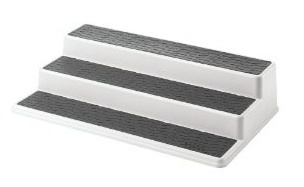 You can edit and configure them to fit your room however they would work best for you. Below each board, I’ve linked all of the items to their online catalog pages for easy browsing. Want to get more Ikea inspiration? You can pick up the new catalog in stores now or order one to be mailed directly to you by clicking right here! Are you an Ikea fan? What store location do you shop at? What is your best Ikea purchase and where do you use it? Share the fun and leave a comment! Is there anything more coveted in a kitchen than a great kitchen island? If there is, I haven’t found it yet. An installed kitchen island, like the one pictured above or those with plumbing or heating hook-ups, can cost you thousands (and thousands) of dollars, depending on how elaborate you want to make it. When you are planning a kitchen renovation of the big kind, such as replacing all your cabinets and countertops, you must discuss your plans with a professional kitchen planner. There are just too many measurement combinations to know if you have the proper clearance for getting around a kitchen. However, in the case of a simple, free-standing, kitchen island there is one measurement you have to know: 42 inches. 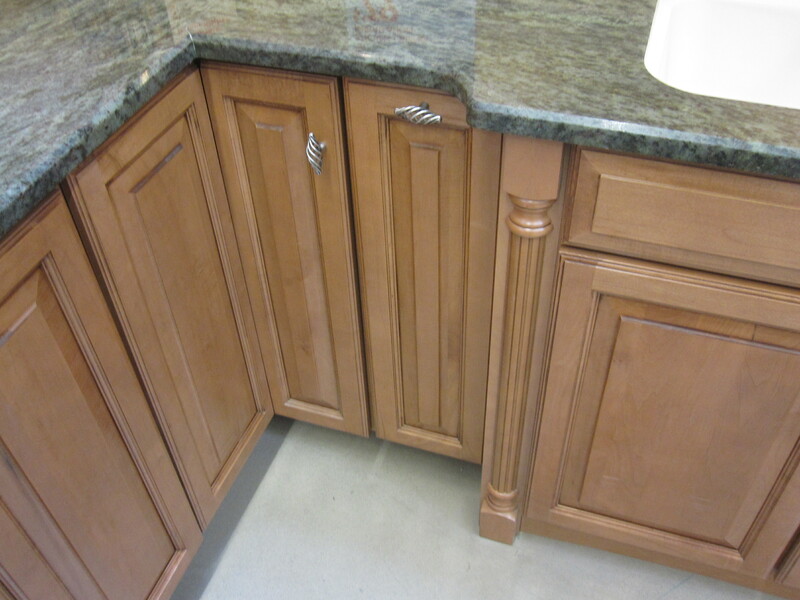 The perimeter of any island must be a minimum of 42 inches from any other cabinet or appliance. 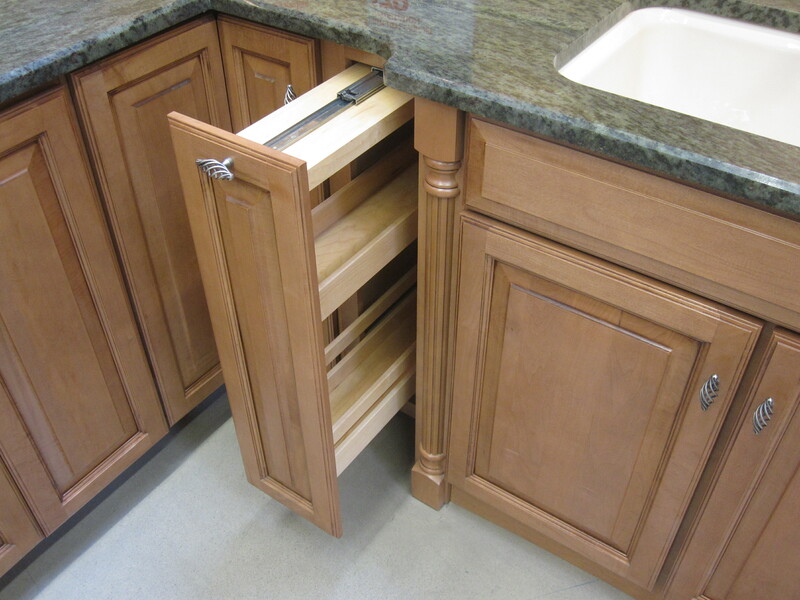 However, you may find you need more space depending on your cabinet configuration and appliance doors. I recommend measuring out 42 inches from your counters and appliances and taping the remaining central area on the floor with painters tape. Then, you can walk around the space, open cabinet doors, have two people pass each other by the counters, etc. and see if 42 inches is really enough clearance for your kitchen. Once you have figured out the dimensions that work for your kitchen, you can shop for a free-standing island with confidence. Linked below are some great free-standing kitchen island designs. Just click on the picture to link to more measurement and feature details from the manufacturer. There are so many models to choose from out there, the biggest problem may be choosing which one you like more! This island looks like a more expensive installed island, with its turned legs and tapered feet. The butcher block countertop also includes two drop leaves which could be used for additional work space or casual dining. If you prefer more modern finishes in your kitchen, consider this sleek and minimal beauty from Ikea. With plenty of storage, this stainless steel island is durable and easy to clean. This island, in a classic oak finish, also looks like a pricier installed island. Featuring lots of storage and a fold down breakfast bar, this island would make entertaining in your kitchen easy. This modern island has three big drawers for storage and can be moved to anywhere you need it in your kitchen. I like the modern lines and stainless steel finishes. You can even order matching stools to go with the island. With dozens of color and wood finish options, this island would shine in any kitchen with an older style. The surface area of this piece is a massive 6 feet by 30 inches. That’s plenty of space to make a whole assembly line for holiday baking. 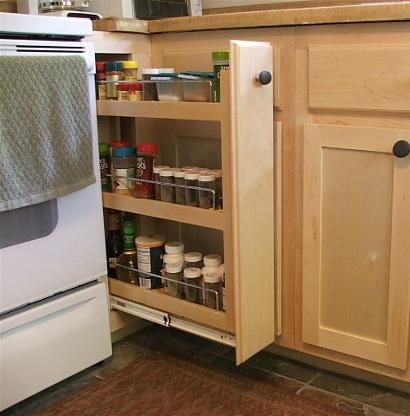 Short on space in the middle of your kitchen? This island could turn your small kitchen into an eat-in kitchen without taking up space with chairs or stools. 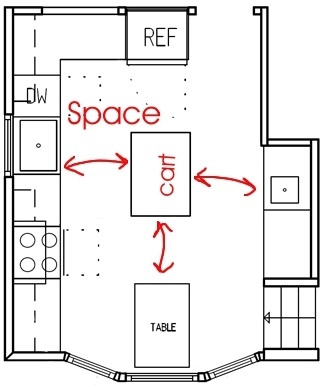 Plus you get a nice stretch of extra counter space. Few things make a kitchen feel more sophisticated than a nice piece of dark furniture. The island includes some elegant display shelving for your large serving ware, just like you see in all the current home design magazines. Hello, wine lovers! 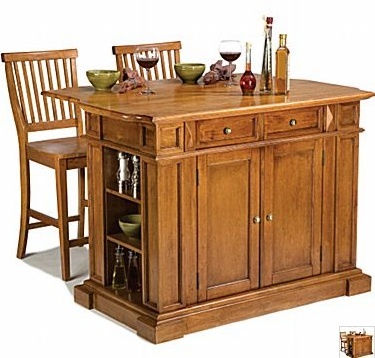 This island has plenty of storage for your wine and wine glasses. With a little sanding and paint, you could even change the color of this island and make it fit your exacting tastes. Who says an island has to be square? At only 36 inches in diameter, this little gem can be used to break up all of that rectangular surface space in your kitchen. It comes in cream (shown above) and a gorgeous black. Okay, confession time. This was my absolute favorite find when I was pulling these sources for you guys. It had me at “granite counter top”. I love the antique-y feel with subtle casters. 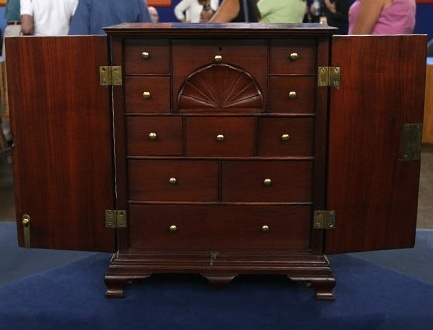 Love the two deep drawers and the two shallow drawers. Love the slatted shelves that would hold anything, including wine. Love that we could take this show-stopper with us if we moved. In fact, I love everything about this island, including the price. Now it’s your turn: Have you dreamed of doing a little island hopping of your own? Do you have an island in your kitchen? What is your most common use for it? 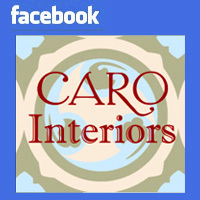 Leave a comment and share with the rest of us! I thought it might be fun today to look at some really popular lawn furniture. Okay, I should have explained that it was really popular in its day, but not so much today. It doesn’t look very comfy. Does it? Maybe it needs more cushioning? Okay. Still no. So, why was this so popular? 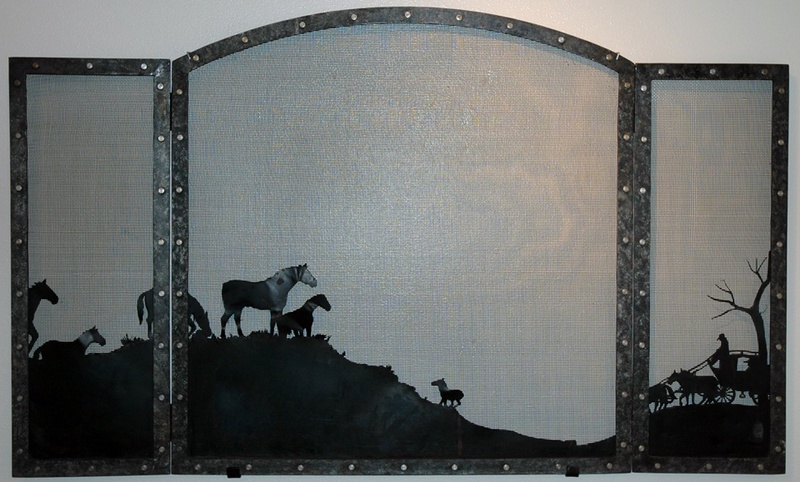 This furniture is made of cast iron. This was brand spankin’ new technology in the 1800’s. 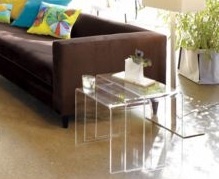 It was the lucite furniture of the moment. The Eiffel Tower, in Paris, may be the most famous example of an iron structure on the planet. Millions of people still travel to see it every year. 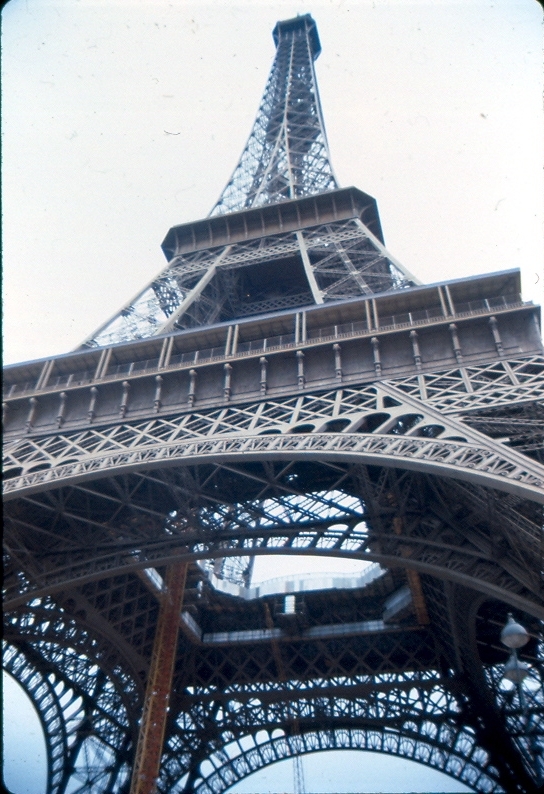 However, the Eiffel Tower was not cheap when it was built, in part because of its weighty materials. This bring us back to the cast iron furniture. Cast iron was so exciting because the process made it so cheap and adaptable to decoration. Molten iron is poured into a mold of any shape, cooled and then the pieces are bolted together. 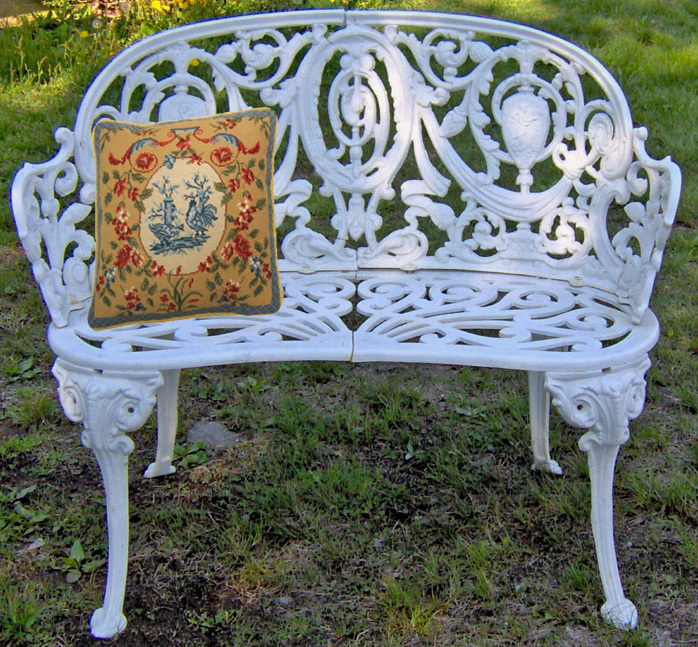 If you’ve ever sat on black cast iron furniture during hot summer months, you can also imagine another reason that green and white were very popular color choices. The women of that era would have no idea of what I’m referring to because they all had layers of skirts to protect them from the heat. However, Victorian men, in their white linen summer suits must have inwardly cringed when beckoned to one of those hot seats. We never see that in Merchant Ivory films, do we? There was no way these ladies could kick back with an ice tea and the latest issue of Elle Decor. Poor things. So now you have a good idea of why this furniture declined in popularity as fashion, literally, “loosened-up”. 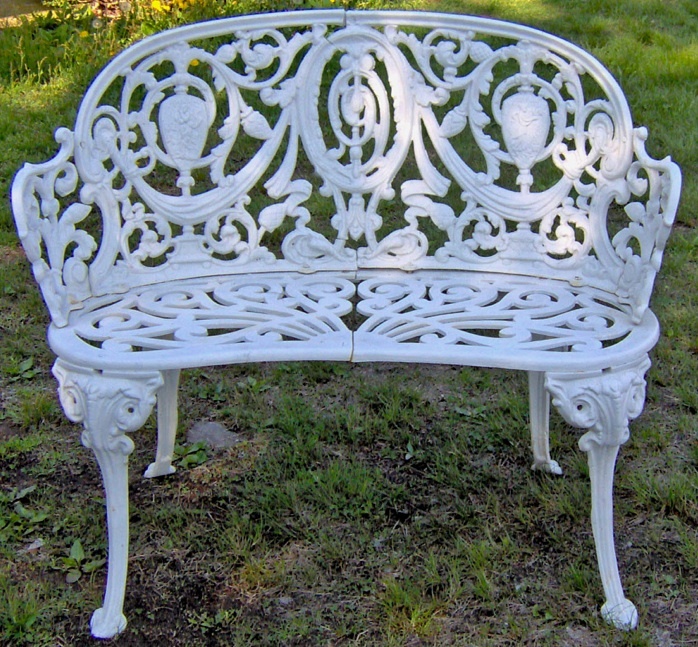 You can still find cast iron furniture today. 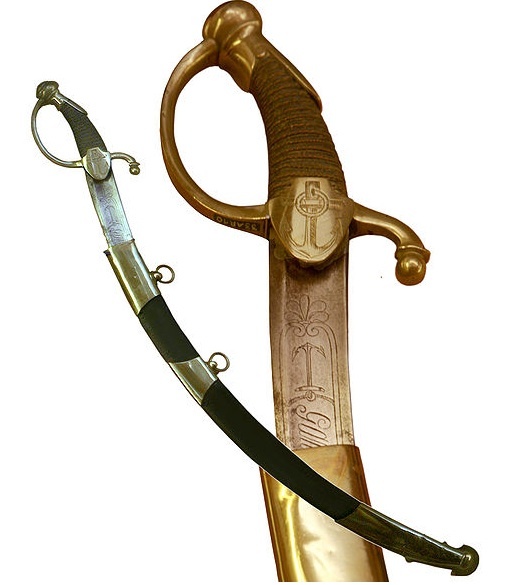 The best place for the original stuff is estate sales and auctions. You can also find decent reproductions available. If you are seriously considering moving cast iron, even just to sit down…bring a friend. Or have a really strong butler, like they did in the 19th century. It is very heavy furniture. I think this is why some many older pieces survive today. Do you like the cast iron furniture look? What type of lawn furniture do you prefer? What is your favorite way to relax outside? Psst! Today is the very last day to enter to win our current giveaway. It can certainly help you kick back and relax! You can enter to win it right here! 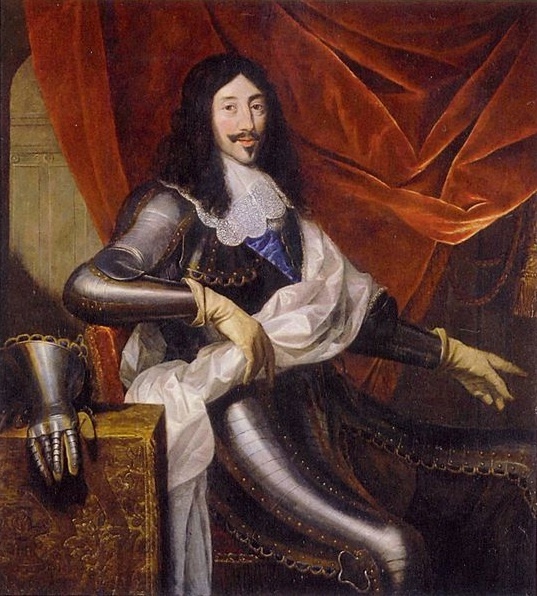 Once upon a time, way before the years of American history you were supposed to have memorized in high school, there was the kingdom of France. 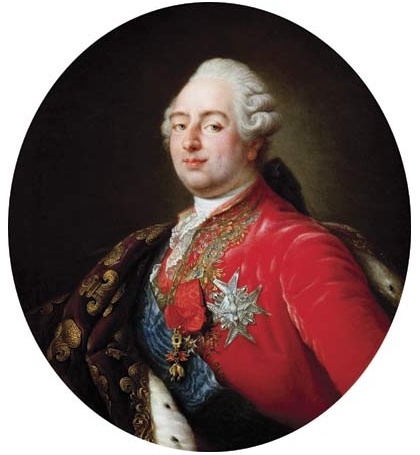 And the kings of France were a very busy lot. Life was full of responsibilities, such as waging wars against their neighbors, scooping up colonial land wherever it was found and trying not to anger their hungry subjects while they bankrupted the country for some extra jewelry. You can spend a lifetime just learning about all those kings and how they spent their time. We’re not doing that here today. Today, we’re only going to care about their home life as furniture style makers. 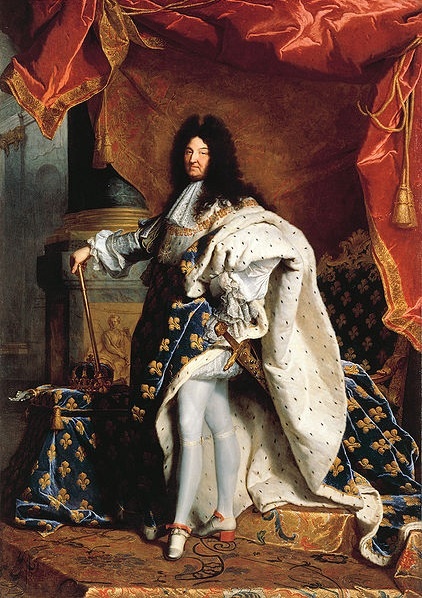 These kings of France were the A-list celebrities of their day, living in the most fashionably famous country in Europe. Wealth denoted power and it was to be flaunted. 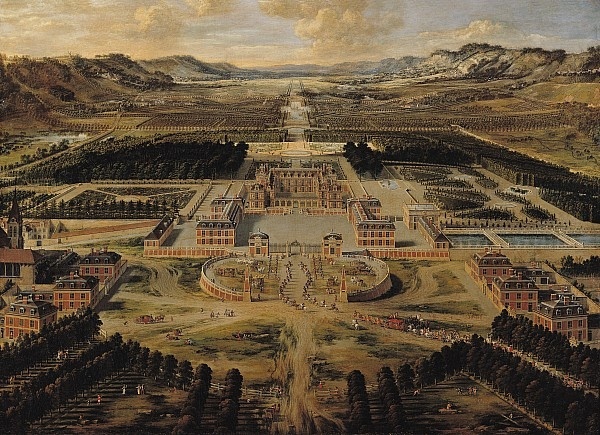 If the king had something stylish in the palace, er…palaces, everyone else wanted one just like it. This offers us a unique opportunity to see the evolution of the chair as a nation’s everyday lifestyles and needs changed. 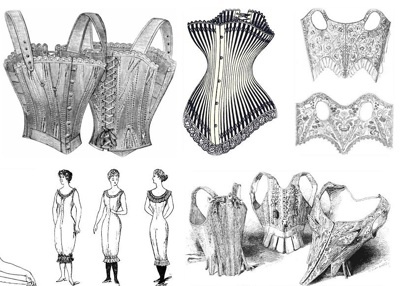 Clothing fashions changed dramatically, affecting how you physically sit in a chair. Rooms in the home changed, too, becoming much less formal. Everyone’s furniture had to adapt or it was swapped for something better, just like we do today in our homes. Think of this post as a history version of my Real Living post. Here is a cheat sheet of knowledge for real life: a little trivia to remember Mr. Divine-Right and how his chair evolved from the kings before him. This is the Louis Ghost Chair, by French designer Philippe Starck for Kartell. It is a beautiful piece that is already a design classic in its own right, and it is much cheaper than an original Louis chair. 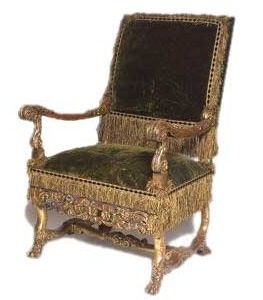 Since you now know a little about original Louis chair history, can you see the French ancestors in this chair’s profile? The Louis Ghost Chair is made from one solid piece of molded clear polycarbonate, translation: industrial grade plastic. You can use it indoors or outdoors. 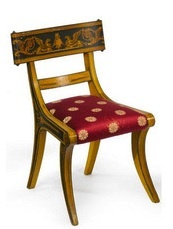 (Try doing that with an antique Louis chair!) It is oh-so-light to lift and remarkably comfortable to sit in for long stretches. It makes a lovely desk, dining or accent chair. Or maybe an opaque one? Now it’s your turn! Tell me what you like and dislike about all of these chairs named Louis. Do you prefer the antiques? Has the modern version made you reconsider what “modern” can mean? Where would you use one of the Louis Ghost chairs in your home? 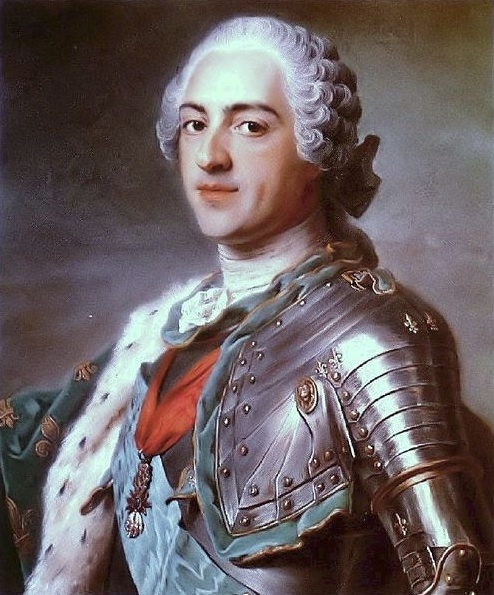 All portrait images in this post are courtesy of Wikipedia and some very talented, but long dead, painting masters. 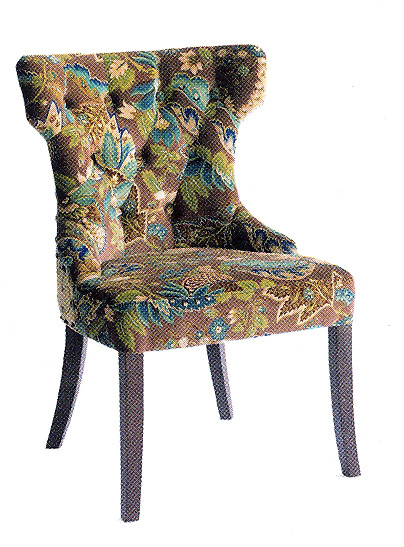 The chair images are courtesy of miamiantique.com, The Abrams Guide to Period Styles for Interiors, allmodern.com and House Beautiful. Have you seen this chair? I’m guessing you have. Original models of it live in major US museums. It’s in a lot of movies. And tv shows. And commercials. It’s a superstar. Owning this chair is like owning the most gorgeous sports car you can imagine. Except you can “drive” this sports car in your pajamas while eating cereal. It welcomes pajamas. It will welcome you into its seat regardless of what you are wearing. It reclines. It is, in many people’s opinions (including mine), quite possibly the most comfortable chair you could ever sit in, which is why it also comes with a sports car price tag. 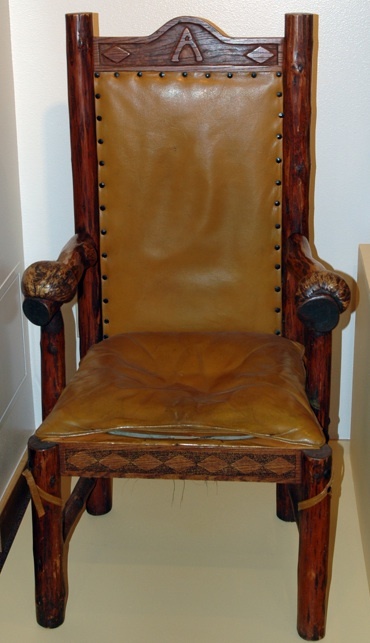 What would it take to get you into this chair today? Approximately $5,000. Shipping not included. Ok. Wait, wait! I hear you! $5,000 is a lot of money for one chair. Even if it is THE most comfortable chair in the world (which I maintain it is.) 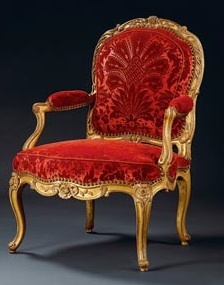 Does it help to know that most owners of this particular chair pass them down in their families as treasure heirlooms? The chair does age really well. No? Well then, let’s talk about why this chair such a superstar. Such an icon of modern design. 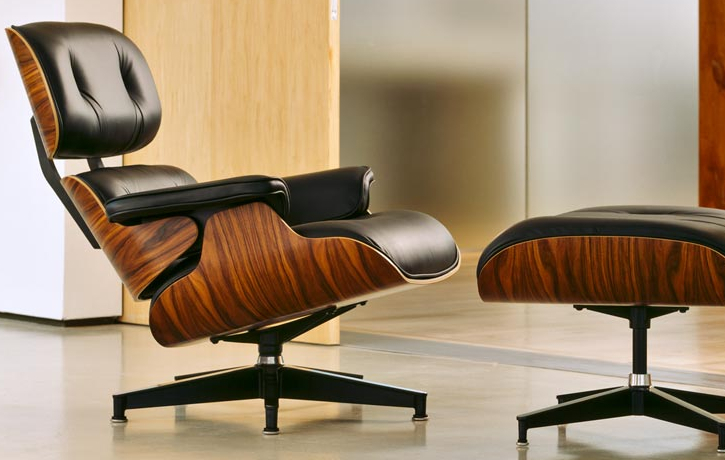 The Eames Lounge Chair (let’s call it by its proper name) debuted in 1956. It was designed by Charles and Ray Eames (that’s them on the left) who went on to make great strides in modern furniture design and technology. Charles and Ray Eames became such stand outs in the world of furniture design because they used different materials to make different profiles. Charles had worked in the steel industry and had architecture training that allowed him to see the structural needs of the furniture pieces beyond the traditional shape that was expected. This was modern design that made many people uncomfortable in the 1950’s. For others, it was very exciting. Here’s an example. 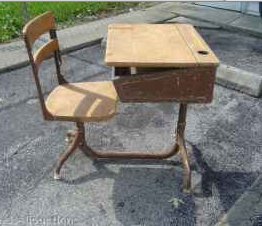 If you went to high school before 1960, your school desk probably was something along the lines of desk below. Okay, this desk has metal bars connecting the seat and the desk (a little “Bauhaus”-ish for you AP level design fans), but really, separate them onto wood legs and you have a desk that could make a cameo in any Dickens period drama on PBS. Did you notice? That little circle above the lift-up writing surface. It’s for an inkwell! Old school, indeed. Now. let’s say you went to high school after 1960, ballpark age range here. At some point in your high school or college life you probably sat at some version of this Eames desk below. I’m right, aren’t I? 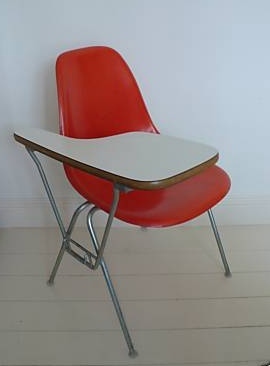 I bet if you really thought about it, you can still remember how this type of chair sounds as it is stacked. That metal and plastic scraping sound. I bet if you really, really thought about it, some of you could remember the gross-out factor of when you discovered that someone else had stuck gum on the underside of the seat. 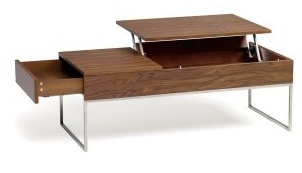 But seriously, this desk changed the way chairs and desks were considered for public spaces. Many, many companies tried to copy this design. Think about how many of us are familiar with this chair. It is an icon. And we can see the steel and architecture background Charles brings to the project. The legs are just weighted enough to support many different sized people, comfortably, but everyone can lift and stack that chair. See how the plastic back (plastic! that’s new, too!) is molded to fit the human back in a relaxed state? You are not supposed to practice your good posture in this chair. Here’s the back of the Eames Lounge Chair again. Slouching for everyone, because it’s what we all prefer to do. While we’re here, check out how beautifully that wood is shown off. 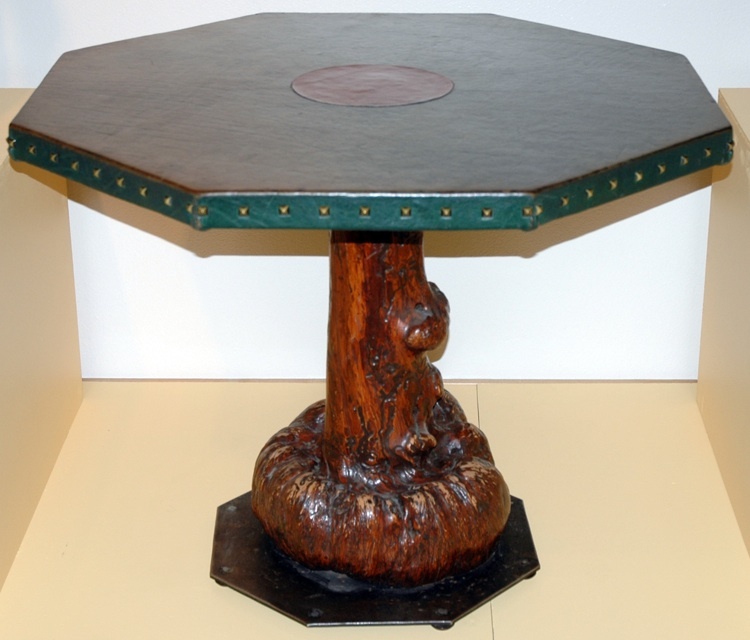 The original models were made of rosewood, a beautiful wood, but not very planet friendly. The company that produces these chairs, Herman Miller, now finishes the wood sections from sustainable forests. Here is another reason why Eames design is so iconic: It is fun. Really fun. At a time when a huge, youthful generation of mid-century Americans were discovering backyard grills and how to use a patio to entertain, Ray and Charles Eames embraced the colorful party of it all. The coat rack below is called the “Hang It All”. That is a fun little play of words for a furniture store to market to people who want to have enough guests over to really need this coat rack. What a cute anecdote a hostess can share with her friends. Canape, anyone? There has been a huge market for mid-century modern design in the past decade. People just can’t get enough of it. You can argue it is new to a new generation of consumer. You can argue that the clean lines and bright colors are clearly defined for a modern world where life’s choices rarely are anymore. I think the reality is much more simple. 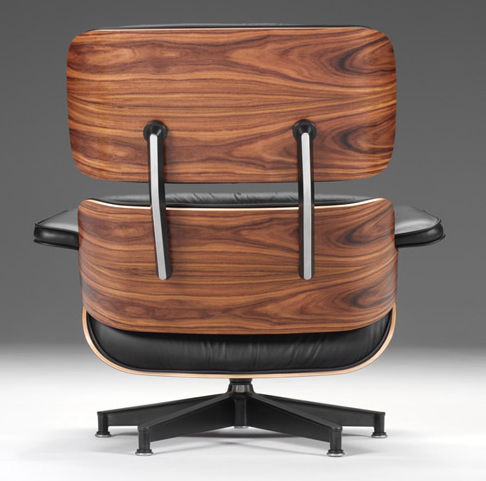 Eames design is perennial because it is made of classic materials, streamlined into realistic, ergonomic forms. It can really satisfy the soul to find an item designed to perform for the way you want to live. How about you? 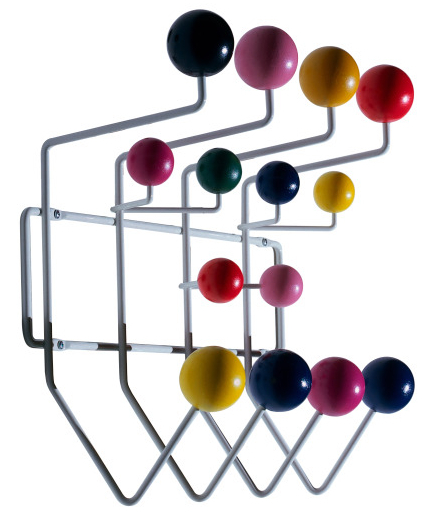 Anyone out there own an Eames designed product? Do you like mid-century design? Any Mad Men fans out there? Let me know what you think! The Klismos chair is a classic chair design that reappears many times throughout history. Understanding the history of a classic design item can be more than just fun trivia for design fans, it can also help you spot a trend and notice the specific variations of the original design that define each new version. 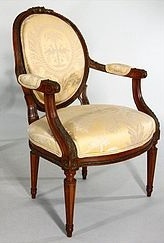 The Encyclopaedia Britannica defines a Klismos chair as having “four curving, splayed legs and curved back rails with a narrow concave backrest between them”. Kinda hard to visual from that description, huh? So, let’s break it down. Now let’s look at another chair. 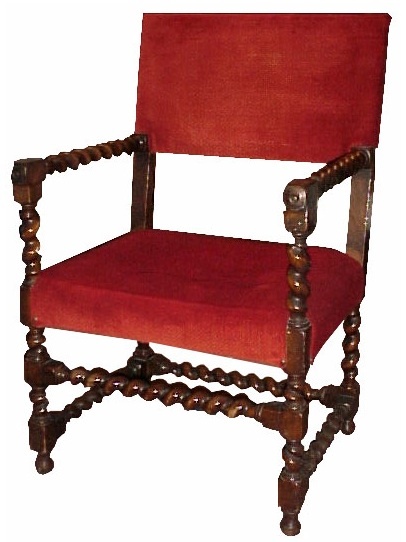 This version of the chair comes from the late 18th century. 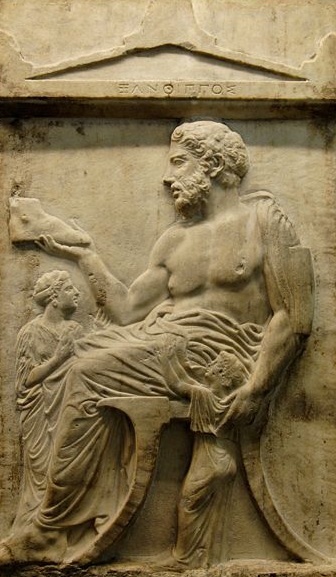 America and a lot of Europe were going through a whole crave-everything-from-ancient-Greece-and-Rome phase then (we’ll discuss more of this phase in a future post), so you can see a lot of ornamentation on this chair. Let’s look at the “curved back rail” mentioned in the description. Just look at that curve! You can see in this example (and the example above it) how the ends of the back curve out beyond the rails. 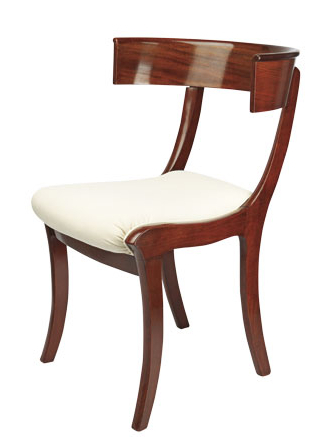 This, to me, is one of the most recognizable characteristics of a Klismos chair. 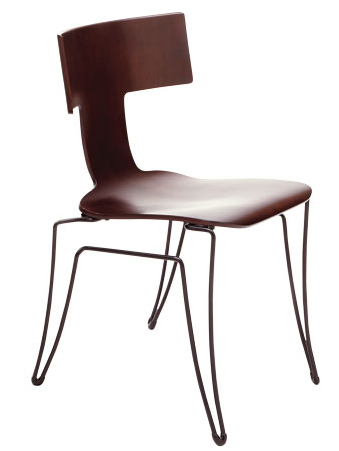 In most of the variations you will find, this curved, extended back is a dead giveaway of the design origins. This modern version (left) would be great in an office setting. The curved back would probably be very comfortable for long sessions in front of a computer monitor. The wire-looking legs keep it nice and light weight, portable in a conference room. 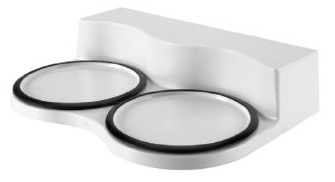 This little gem (right) has minimized the curved extended back…perhaps to fit more of them around a dining table? The elegant design has also added some extra surface space by filling the back with lovely upholstered curve. 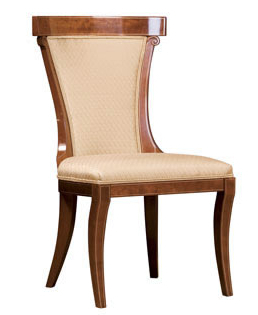 It almost looks like a traditional dining room chair, but no one can ignore those lovely sabre legs! 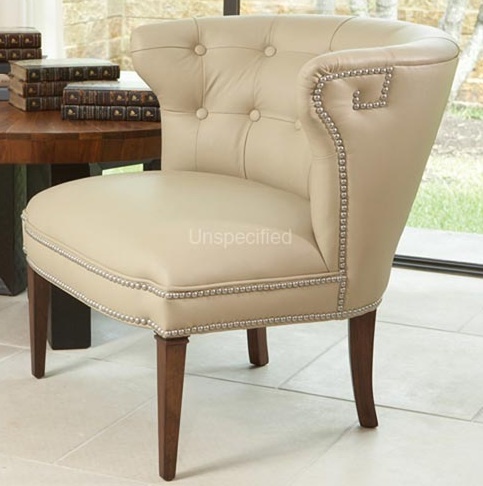 This playful chair (left) would make a great desk chair or even an accent chair in a bedroom. By tufting the back and using a vibrant pattern, you almost don’t notice the curve of the back at first glance. Lastly, look at this beautiful living room adaptation (below). They’ve straightened the front legs a bit and added little nail head trim. The leather finish in the light color adds a very modern classic feel to the design. Now you be the expert! Find Klismos chairs being showcased in your favorite magazines or furniture showrooms. Do you like the overall design elements of the chair? Would any of the examples I’ve shown work in your home? Let me know what you think!